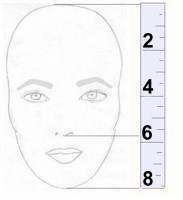 This post will talk about ways in which how we can be able to determine what eyebrow shape would suit our facial structures. to creating your most beautiful look…..
similar to oval but the chin tapers to a point. If the last number (the 2 1/3 number) is larger than the first number (the 2 2/3) than chances are you have a long face. If the last number is less than the first number than chances are you have a round face. > This is considered the ideal face shape. The brows play no role in making the face appear “more oval” -it already is oval. >The “perfect” brow shape is generally considered to be the soft angled shape. This is in fact our most popular stencil shape, and works beautifully with an oval shape. > Make a round face appear less round by making the face appear longer. > Apply lines that go more up and down the face. This helps draw the eye up and down and lengthens it. Create as high an arch as you can. > Apply straight horizontal lines that stop the eye moving up and down the face. > A flat brow shape accomplishes this. It’s horizontal shape makes the face appear shorter. > A square jaw is a strong feature. Balance it with a strong brow or soften it with curves. > A thicker stronger color and shape balances a heavier jawline. A defined sharp peak at the top of the brow makes the brow appear stronger. > Soften your look with curves and create a beautiful heart shape using the point of your chin as the heart bottom and the brows as the top of the heart. > A low arch round brow creates a natural look. A high arch round brow adds (possibly needed) length to a shorter heart faceshape. > Soften the angles in your diamond face shape and make the widest portion of the face appear less wide. 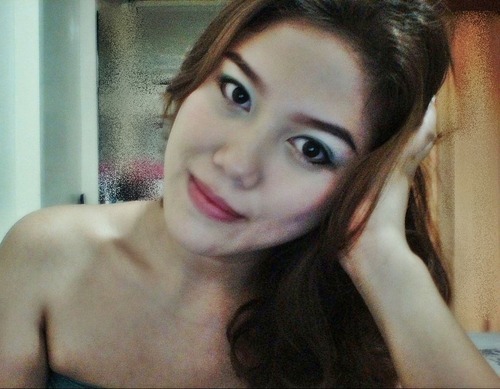 > Curves will both soften your look and make the widest portion of your face look less wide.